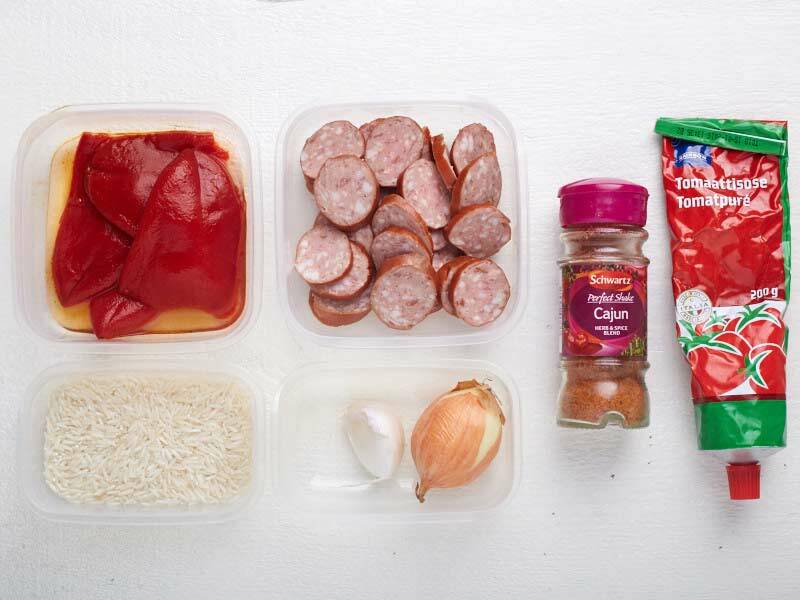 Jambalaya is one of the most known Creole dishes with a beautiful mix of strong flavours and great textures. 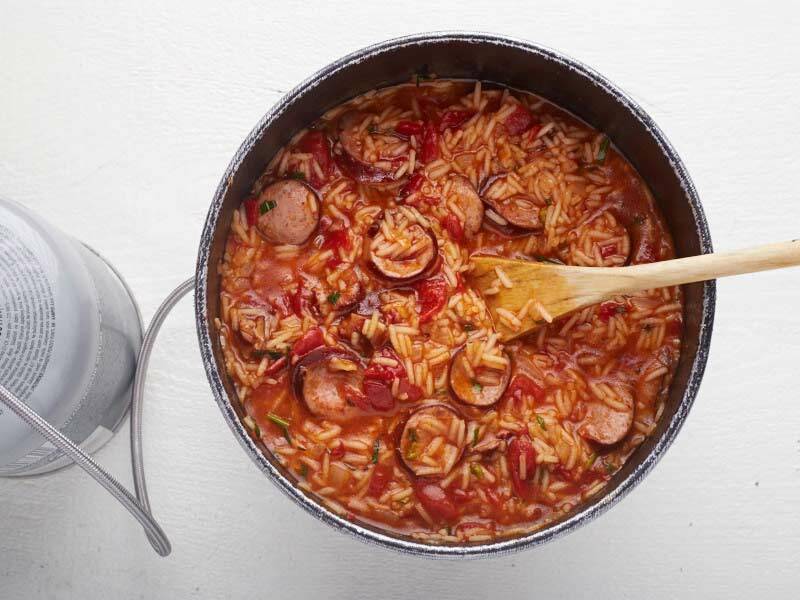 There are many versions about the origin of the name “jambalaya”. The one commonly repeated is what this name derives from the combination of the French word “jambon” meaning ham and an African word for rice (variously given as ya, aya, or yaya). 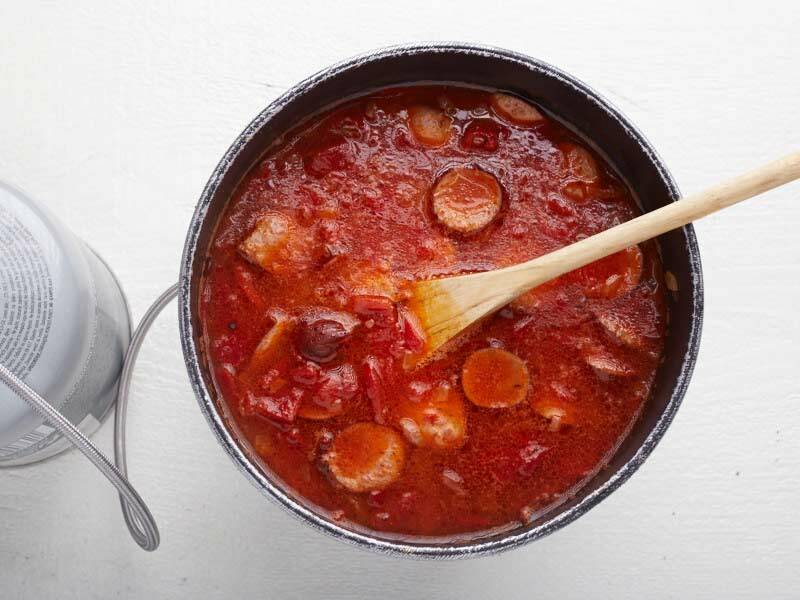 In fact, jambalaya is usually made with ham or different kinds of sausages, but can also be prepared with chicken, shrimps or oysters, depending on what ingredients you have on hand. 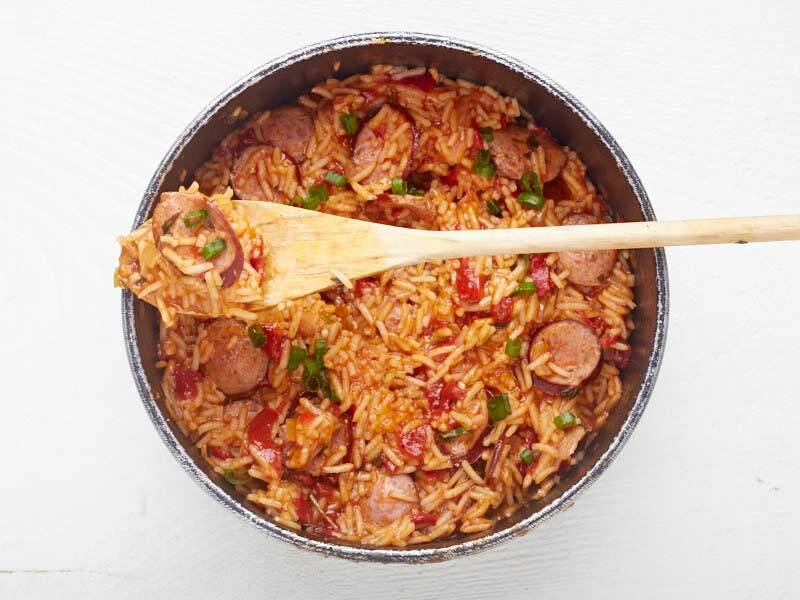 This smoked sausage jambalaya recipe is so quick and easy to do and makes a really tasty dinner on the trail. 1. 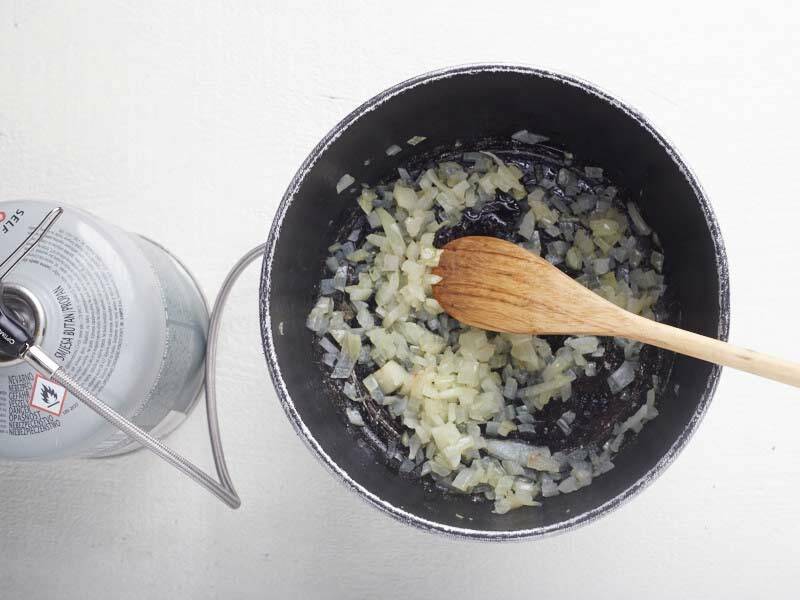 Heat the olive oil in a pot, add onions and garlic; cook until onions are soft. 2. Add sausages and sauté until browned. 3. Stir in tomato paste, Cajun spice mixture and pimentos. Cook for another 1–2 minutes, and then pour in rice and 2/3 cup water. 4. Bring to a boil. Season to taste with salt. 5. Simmer for 10 minutes, stirring occasionally, until rice is done and all liquid is absorbed. 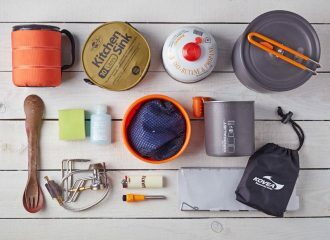 Hi there, I’m trying this recipe for my trip to JMT. I’m worried about dehydrating my sausage and it becoming rancid while on the trail. We are only on the trail for 4-5 days, but I’ll be keeping this dehydrated meal in a zip loc bag. 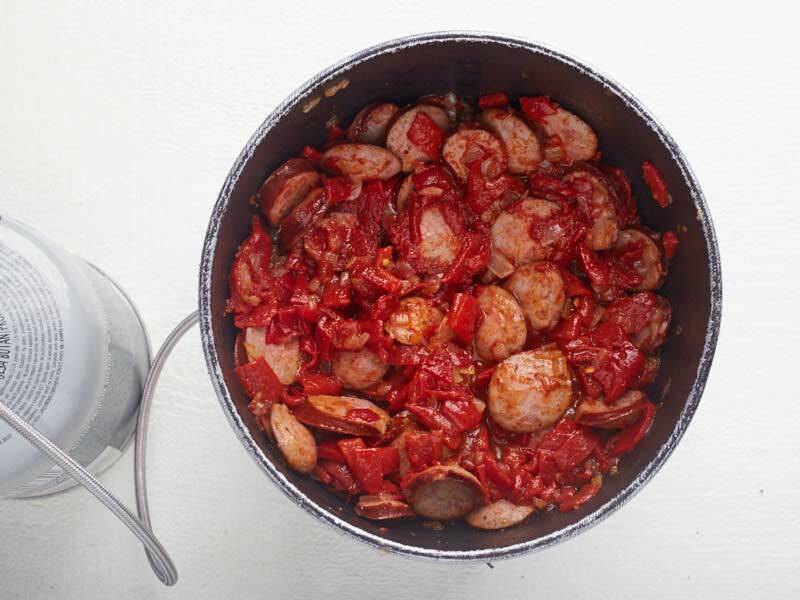 I’ve sauteed the sausage and boiled it before adding it with the rest of the ingredient. 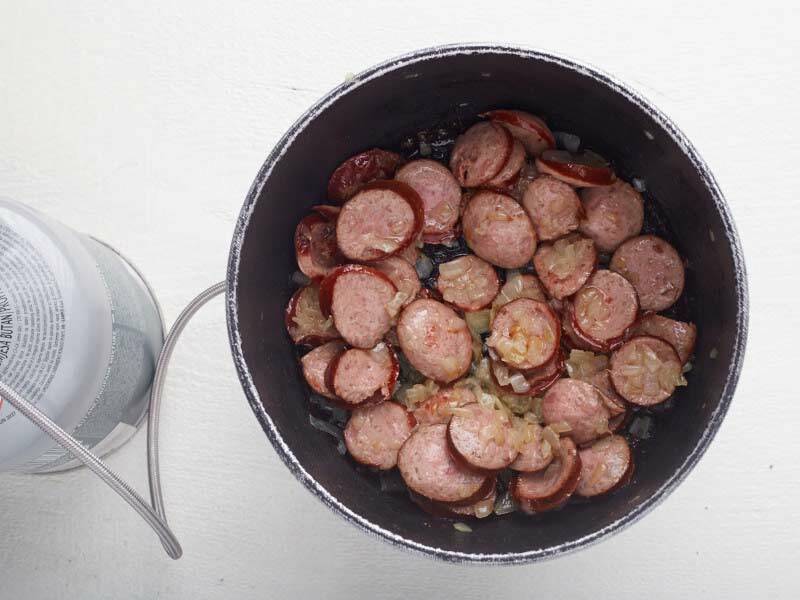 Do you have any tips or advice for keeping the sausage as fresh as possible while on the trail? Hi! 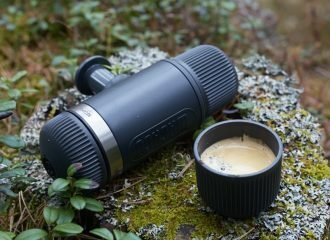 Thank you for your comment and sorry for late reply – we have been out for the OutdoorShow16. I’d not recommend you to dehydrate sausages due to high fat content in them. 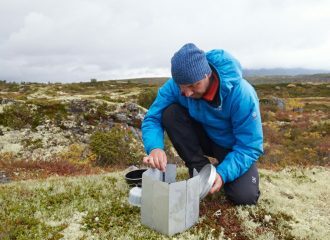 If you are on the trail for 4-5 days maximum, you can take the shelf-stable salami or other smoked sausages and cook them first, then add dehydrated rice&vegetables or follow original recipe.